Who really uses evaporated milk anymore? For reals. The stuff is a little scary and has “great grandma” written all over it. Sweetened condensed milk? Now, that’s a different story. I could drink that stuff with a straw and bow down to it for it’s majestic role in this grand beauty. But evaporated milk?? Really, great grandma? Really? Do you feel better now? I do. And I think we all know by now that you really can’t have enough graham crackers in the house. This woman seriously must have had a basement full of them to produce enough crumbs for all her treats. In these bars, the crumbs are mixed with marshmallows, powdered sugar, nuts and chocolate then stuck in the fridge for an hour and sliced into dense, delicious rocky road bars! I totally would have named them s’mores bars but it wasn’t my recipe to name. You know what they taste just like?? 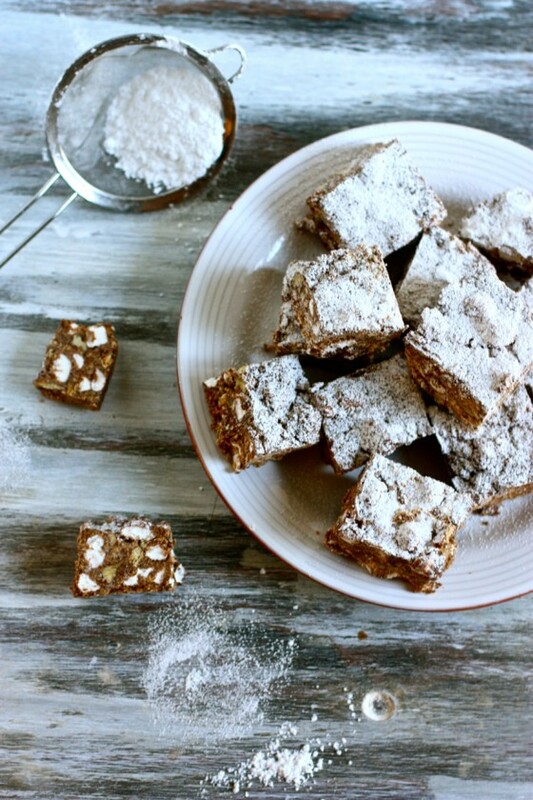 Golden graham treat bars. I LOVED those things. To my delight, you couldn’t taste any weird evaporated milk taste in these bars. Like I said…golden graham treat bars all the way. Despite the massive amount of oozing dark chocolate you see in the photo above, they really aren’t all that chocolatey. Definitely more marshmallow + graham crackery. I loved how thick these were! They’re kinda a pain to slice (put some muscle in it!) but would look lovely on a Thanksgiving dessert platter sliced up and dusted with an ample amount of powdered sugar. So whatdayasay? Graham crackers for life? 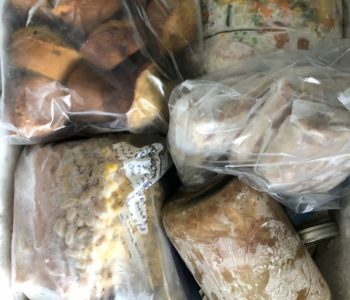 I’m not even a fourth of the way through great grandma’s recipes and already, I want to take stock in them….along with Crisco and shredded coconut, of course. Unfortunately, I made my first “weird” recipe from the stack yesterday, which I’ll share with you next week if you really, really want me to. Just remember that I told you it was weird up front. And that it contains prunes. Your call. Mix together the graham cracker crumbs, marshmallows, nuts and powered sugar in a large bowl. Melt the chocolate chips in the microwave, stirring every 30 seconds until smooth. Add the evaporated milk to the chocolate and stir until smooth and incorporated. Pour chocolate over graham cracker marshmallow mixture and toss until well combined. Press mixture into a well-greased nine inch pan and pat down (easiest to do with wet hands!). Place in fridge until firm (about an hour). 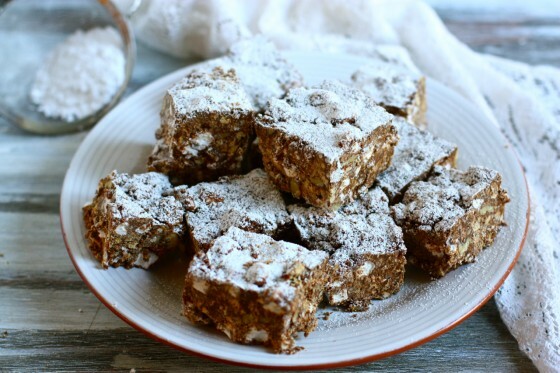 Dust with powdered sugar and slice into squares. Graham crackers for life indeed! What a great recipe…it reminds me sooo much of what my grandma used to make in her tiny Minnesota kitchen from the 1940s and she had a basement that I think she had graham crackers stockpiled in. That and powdered sugar went into everything! 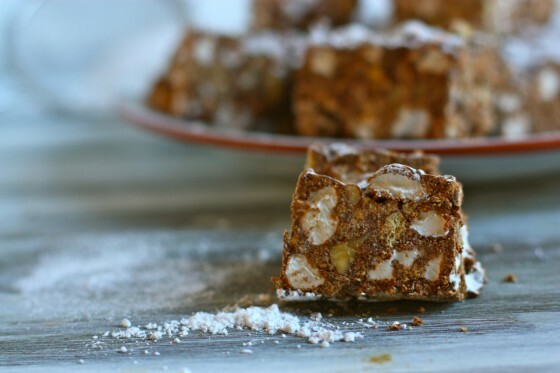 I have had many more modern day adaptations of rocky road/marshmallow bars but I love the old school grandma’s recipe you used…I bed my grandma’s were similar. Must make! Disclaimer: I know what evaporated and dried milk both are, I just wouldn’t be able to tell you what the package looks like. A lot of patients identify the milk that they drink with the color of the cap and I have to figure out which they are talking about. So if they were to describe the box of dried milk I wouldn’t probably figure it out. I use evaporated milk all the time in cooking! Maybe I’m the only one. This, along with all of your great-grandmother’s recipes, looks delicious. It’s getting me more interested in my grandmothers’ recipes. Thank you for sharing them with us! This reminds me to pick up some graham crackers for snacks. So good dipped in yogurt or hummus. I used evaporated milk in my coffee for a long time. That’s what they use in Germany instead of cream (in most places), and it brought back so many fantastic memories of enjoying coffee there. I think if I had to pick a favourite cracker, it’d be a graham cracker. Maybe because they’re practically cookies?? Either way, these sound so delicious!! Interesting. I’m not even sure what I’d imagine the texture to be. I love rocky road, though. I’d happily evaporate my FACE into those rocky road bars. graham crackers, chocolate and marshmallows all in a no bake bar! Sign me up! These look amazing. Adding them to my very long list of yummy things I need to bake but will never live long enough to get to. Your great grandma is a genius fo’ sho…these look like great hunks of deliciousness! 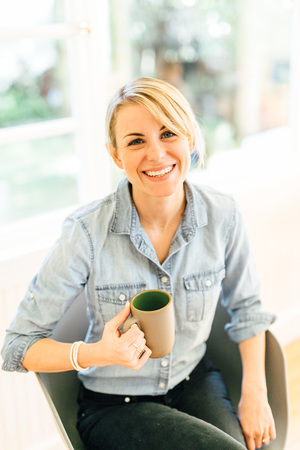 Just have to say thank you Jenna for your blog and actually having content that isn’t about just you or what you ate everyday. Man she loved graham crackers! Such a classic in baking, I can see why- these look amazing! These contain all of my fav baking ingredients! Chocolate, mallows, and graham crackers?! Um, perfect. Yes, please bring on the weirdness!! delish! i used condensed milk in seven layer bars… always wondered the difference between the two. is there one? regardless, these look amazing. can’t wait to try! the perfect treat balance out by those roasted veggie enchiladas. sweetened condensed milk has a lot of added sugar to it and it’s almost “syrupy” aka delicious enough to drink with a straw. Definitely share it! I want to see the good and the bad in great-grandma’s stash! PS-I started reading How to Love and American Man last night after your suggestion. Totally HOOKED. I need to make these right.now. I love your great-grandmother’s recipes! Prunes are cool…. in a great-grandma sorta way! 🙂 bring it on…. I don’t understand why you find evaporated milk scary but love sweetened condensed milk. Evaporated milk is just milk with the water evaporated. You can buy it in fat free or low fat and it’s a great healthy substitute for cream in baking. I love that these are no bake! I can shovel them into my mouth quicker! I’m with you, evaporated milk scares me, a lot. Now these little no bake beauties. . . they need to be made, a-sap. Bring on the prunes! I’ve always been a fan and I think we all could learn a thing or two from our grandparents :). Thanks for the recipe. I now know what to make for my cooking project with the little guy this week. My four year old doesn’t like when things need to “heat up”. Your abuelita was a woman after my heart. 😀 Love this combination. And I AM looking forward to the prune recipe. I for one, LOVE, prunes. Yes, 28 years old and I buy the big bag of prunes from Costco. Soooo sweet and yummy. Like candy. But good for you. Dang you and your deliciousness! We make these with colored marshmallows and call them Church Windows! Perfect for Christmas. We also roll them in coconut though before hand. This is perfect. I am all about NO BAKE anything right now… mainly because my oven is sucky. Thanks for this. I will try them out! Dude, Jenna – you TOTALLY have to share the prune recipe! Weird or not, it just sounds so intriguing! 🙂 Those bars look delish! and for the record, i agree with your canned milk sentiments. sweetened condensed milk seems totally different to me, like a syrup, but evaporated milk just seems like a poor excuse for real milk. I LOVE no bake desserts because I always eat half of it pre-oven anyways! what kind of nuts did you use? 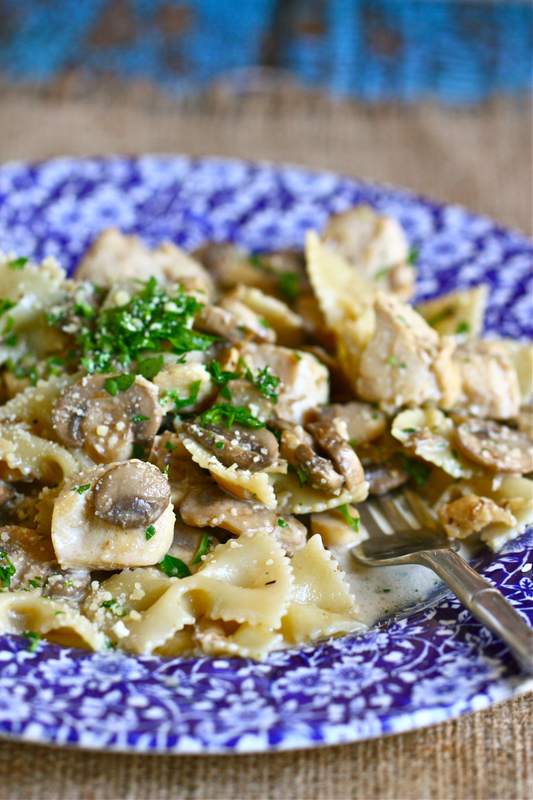 this recipe looks yummy and i think i will make them for thanksgiving! Aah…delish! Def. want to make this Jenna. Growing up my favorite snack was graham crackers dipped in milk. I loved when they got all soggy and mushy. I’m aware that sounds absolutely disgusting but I couldn’t get enough! I definitely have to try making a bar like this. How can you go wrong with a no-bake dessert? all of these remind me of childhood. I grew up in Minnesota and my mom has these recipes. I wonder if you and I are somehow related through distant grandparents. 🙂 Keep bringing the great north woods recipes! yes of course we need to know what you chose as the first of the weird retro recipes were!! i took a food sociology class at ole miss where we studied that women weren’t supposed to eat actual meat and fish with bones in it because it wasn’t “lady like” so thats where crazy aspic salads came from, that sometimes would have things like fish and meat in them, and they would be made in one of those copper molds your mom has hanging up in the kitchen- that way it was dainty enough for ladies lunch 🙂 good lord i’m glad we’ve come a ways since then. 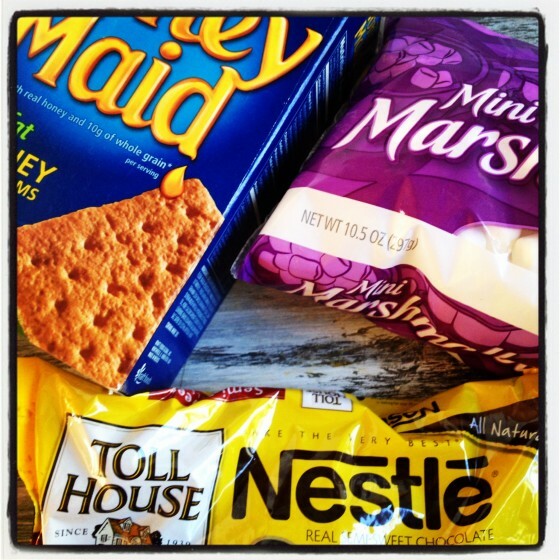 Graham crackers for life and no-bake for life! I got a shiver of delight just looking at this. I’m pretty sure that I would be in a state of hysteria if I was eating one right now. Condensed milk = Vietnamese coffee in our house! My mom likes to add a lil’ bit of half & half to take the edge off but I’ll use evaporated milk to substitute when I’m out. Just wanted to let you know I made this recipe yesterday afternoon. It turned out beautifully! I feel like your great-grandma had some sort of trick to extract the squares from the pan. . . honestly, it’s like they are super-glued in there! But the extra effort is totally worth it. I’ve been nibbling at them alllll morning long. Funny you should mention wierd/old ingredients that pop up in old family recipes and remind you of your grandma. For me – it’s Crisco and jello. What the heck??? This is a great recipe, and yes, the prune recipee would be good too. I like prunes and all dried fruit and am always looking for more ways to use them. Thank you. I’d love to try this recipe but I don’t really care for marshmallows–any ideas for substitutions? Also I actually like to have evaporated milk on hand because it’s cheap and lasts a lot longer (duh) than fresh milk. It still tastes a little sweet to me so I think it’s perfect for dessert recipes like this. 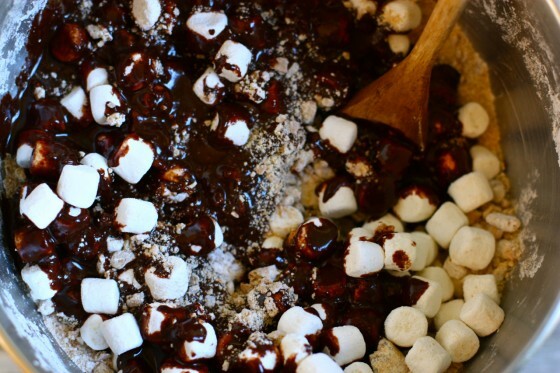 Hmmm…you could just nix the marshmallows all together if you really don’t care for them! Oh, yeah!!! 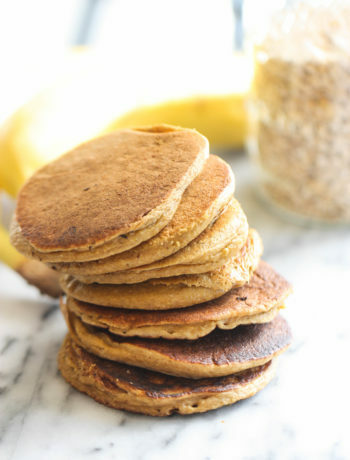 Pass that plate my way…these look fabulous! So, I’ve gotta tell you that everytime I see a recipe with graham crackers I have to chuckle. One of my daughters is majoring in psychology and she has heard in MORE THAN ONE CLASS that graham crackers were originally created for help with people who were sexually addicted. Apparently it has something in it that is supposed to “deter” their unwholesome thoughts and keep them from their favorite activity!!! Totally hilarious to me, since in this era, they are used primarily for preschoolers!!! I give a big thumbs-up to the evaporated milk if it turns into a treat like this. My kids would gobble these up in a flash. These look good and I’ll make them for Thanksgiving! Do you have any special tricks how to finely crumble the Graham Crackers? Buy the graham crackers from Trader Joe’s if you have one! They crumble a lot easier than Nabisco brand. 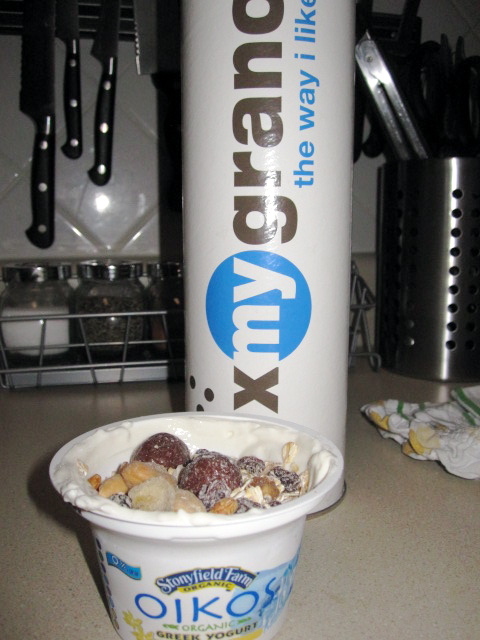 I usually just stick the grahams in a large plastic zip-lock bag and crush them with the bottom of my water bottle!